Members of the Billings band Longtime Lonesome Dogs haven’t been very lonely since going their separate ways nearly two years ago. Band members quickly formed other operations and have kept music going in their respective lives. Guitarists John Kemmick and Kevin Oliver and bassist Doug Habermann formed the Firehouse Band with Randy Wyman and Pat Rogers. 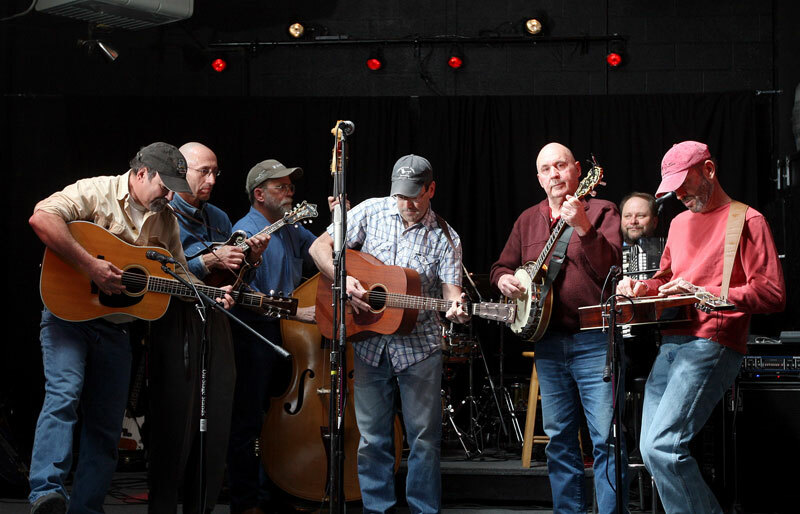 Kemmick and Rogers also formed the Peach Pickers with Lonesome Dog guitarist Ed Kemmick (John’s brother), adding the father/son duo of Steve and Bob Brown to the mix. The Lonesome Dogs will gathering together on Saturday for some bluegrass and breakfast at the well-known eatery and musical morning hotspot, Prairie Winds Café, located about 20 miles from Billings. The Lonesome Dogs were last seen together a few weeks ago following the death of the band’s original bass player, Will Self. The band had a musical gathering/remembrance for Self, who died in December, said Ed Kemmick. “I’d like to think of our Molt gig as a tribute to Will. He was the musical genius of the band, the guy who knew a million songs and a million things about the history of folk music,” Kemmick said. Kemmick described Saturday’s appearance in Molt as less a reunion and more a promise to each other. “When we decided to bust up the Dogs, we all agreed that we would continue to play the Prairie Winds at least once a year, just because it was always our favorite place to play,” he said. Members in attendance will include the Kemmick brothers, Habermann, Oliver, and Pete Michelotti on mandolin, Russell Engesser on accordion and Bob Zuklic on banjo. When asked about his favorite moment performing in Molt, Kemmick was hard-pressed to think of just one. Catch the Longtime Lonesome Dogs from 9 a.m. to noon Saturday at the café, located in Molt, Mont.